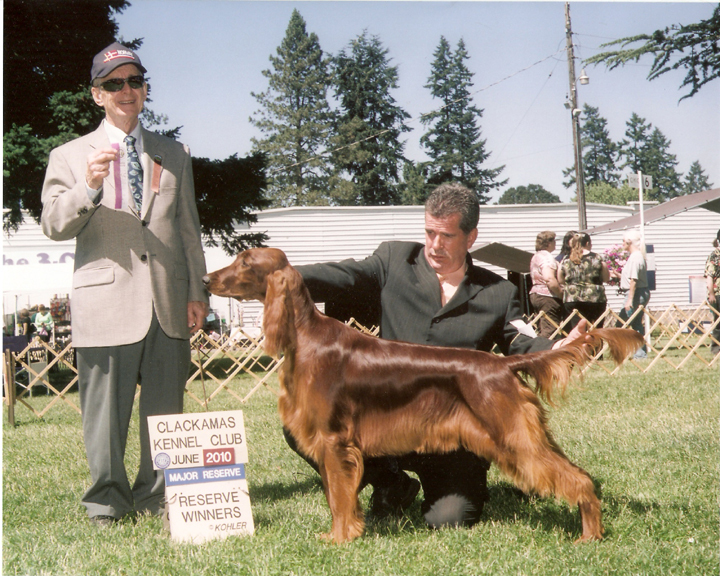 Shadowney High Faulutin Shampagne "Shampagne" 19 months old going WB/BOW from Bred-By at the Multnomah Specialty/Rose City Classic weekend for her 2nd Major. 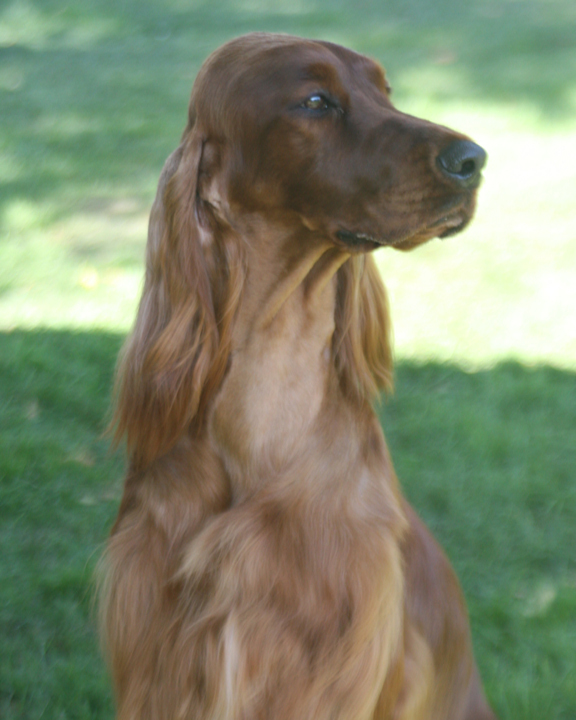 Shadowney High Falutin Shampagne "Shampagne" taking a Major Reserve at 12 months old. 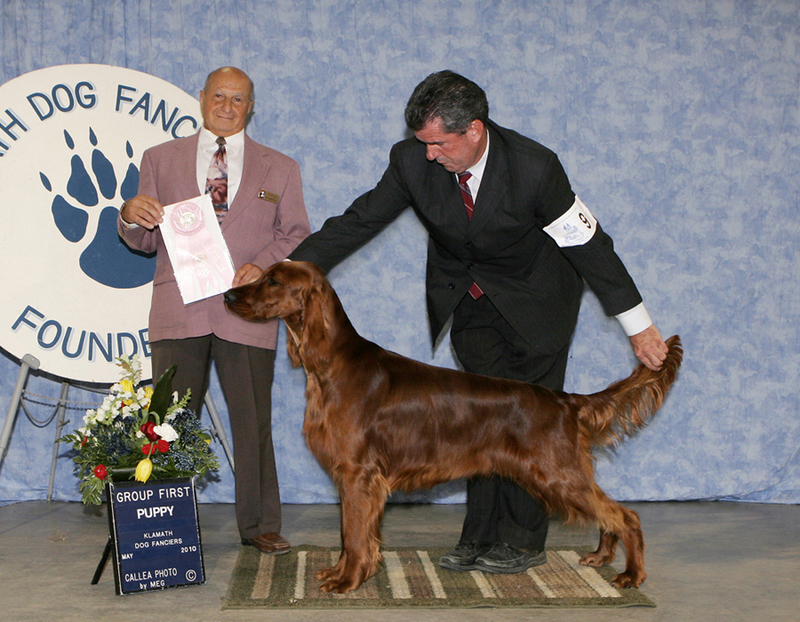 Shadowney High Fly N Rocket "Rocket" taking 3rd place in the 9-12 class at the 2010 ISCA National. 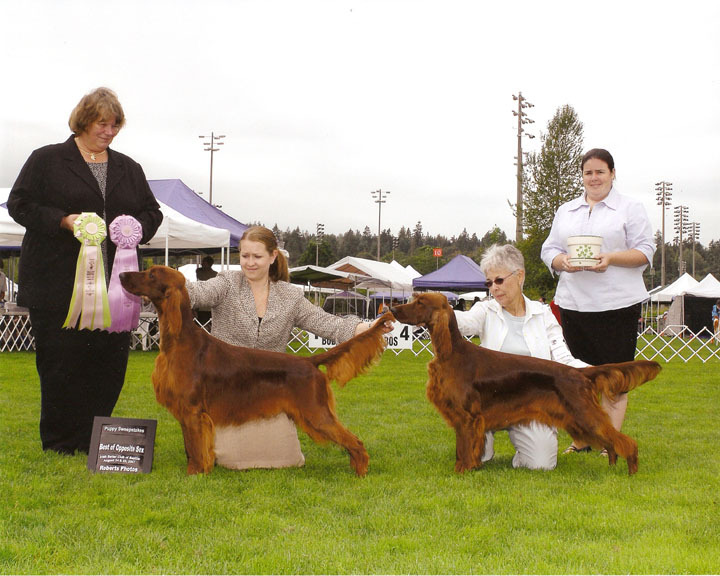 Shadowney Highland Lass CGC RN JH "Morgan" making her show debut at 7 months old a successful one by going Best Puppy from the 6-9 class at the Multnomah Specialty 2010. 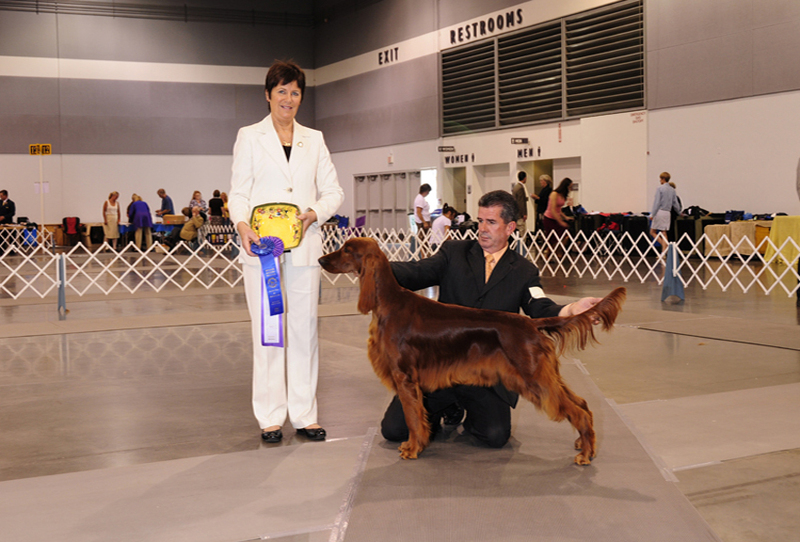 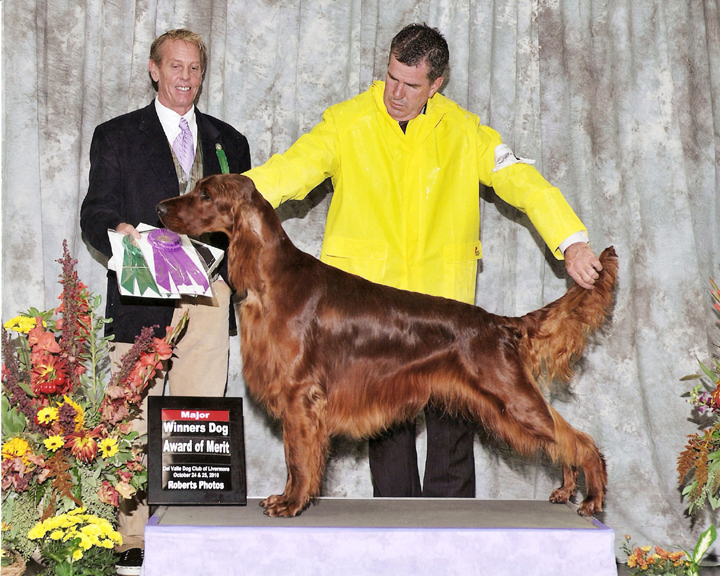 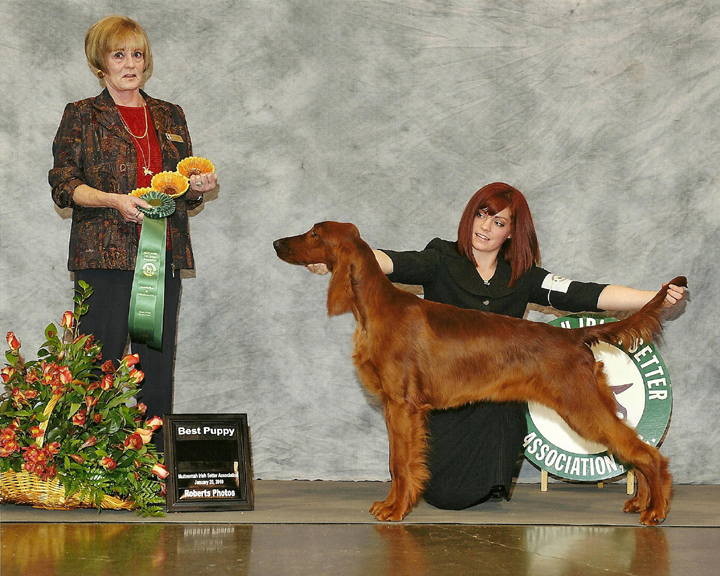 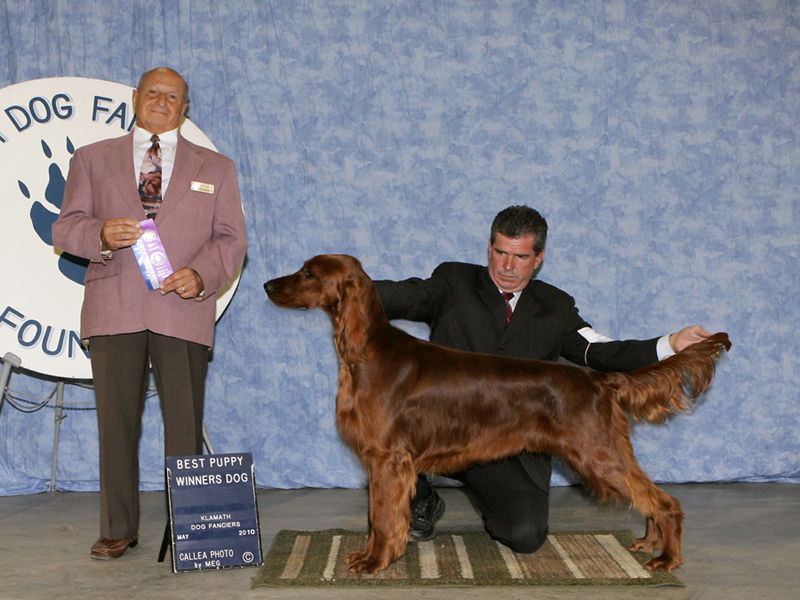 Shadowney High And Mighty "Rusty-Boy" going BOS in Sweeps from the 9-12 class at the 2010 ISCP Spring Specialty. 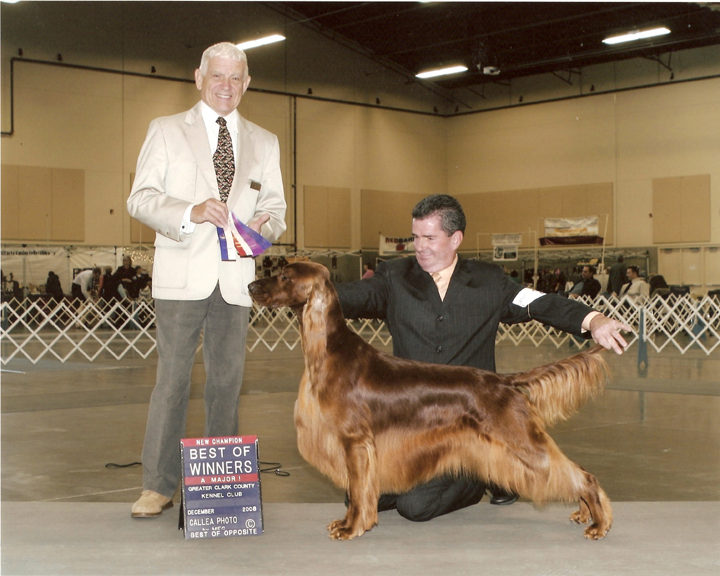 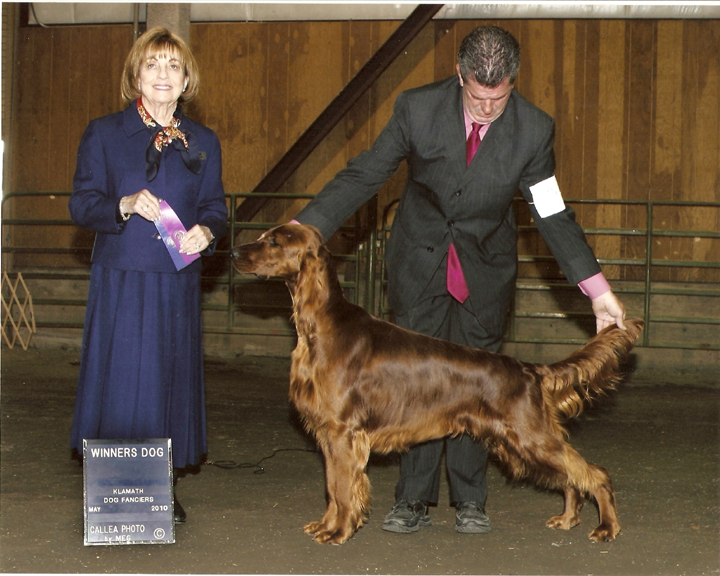 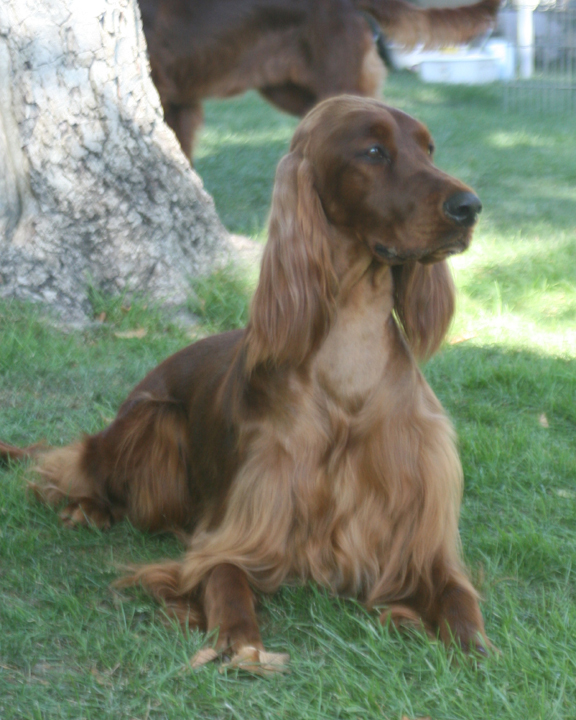 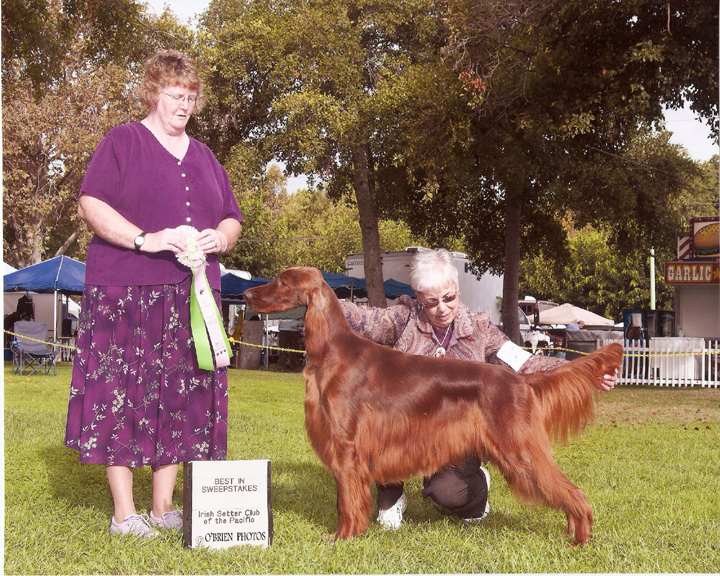 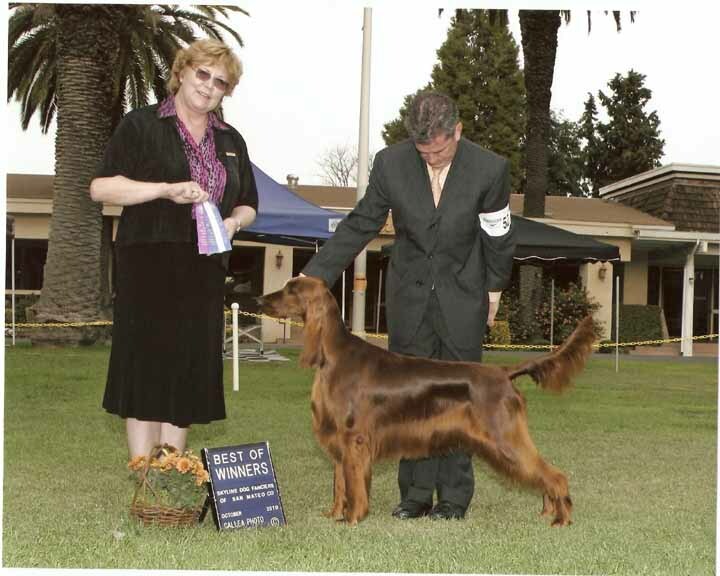 Shadowney High N Mighty Rusty-Boy "Rusty-Boy" going BOB at the Twin Cities KC show in California at 15 months old. 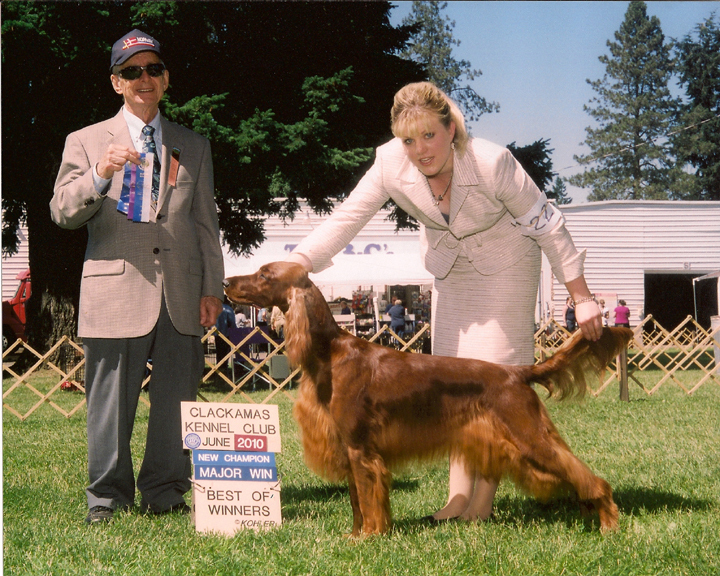 Shadowney Highest Praise CGC "Milo" at 11 months old winning the Puppy Sporting Group in Klamath Falls, Oregon. 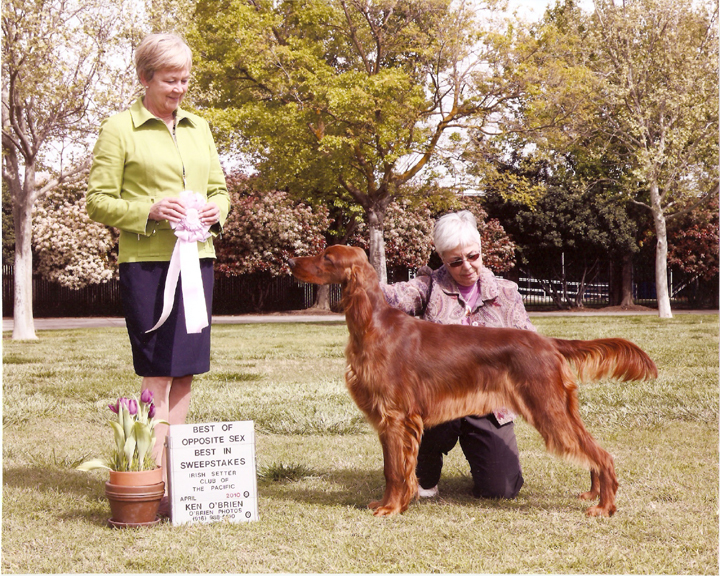 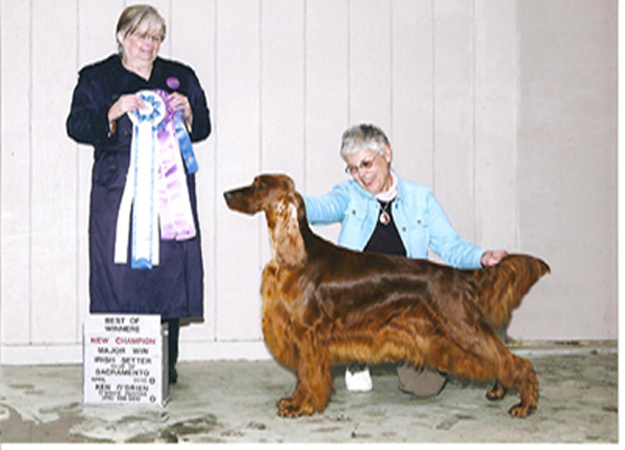 Shadowney Highest Praise CGC "Milo" Going Winners Dog from 9-12 for his first point in Klamath Falls, Oregon. 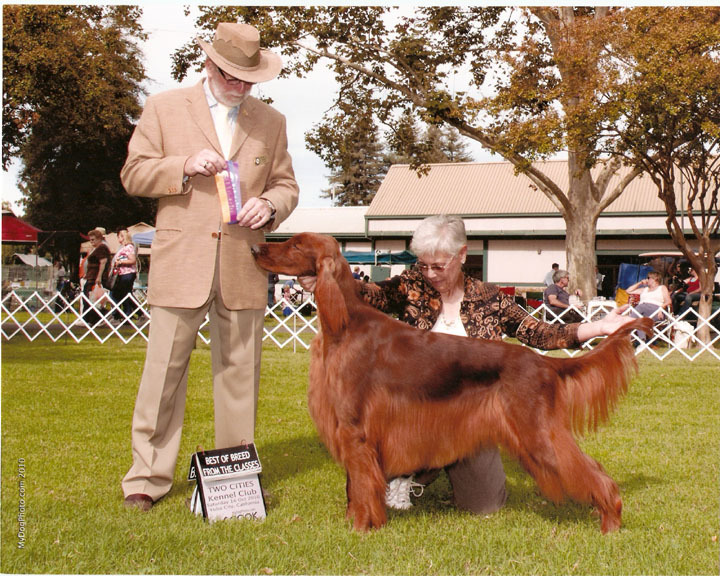 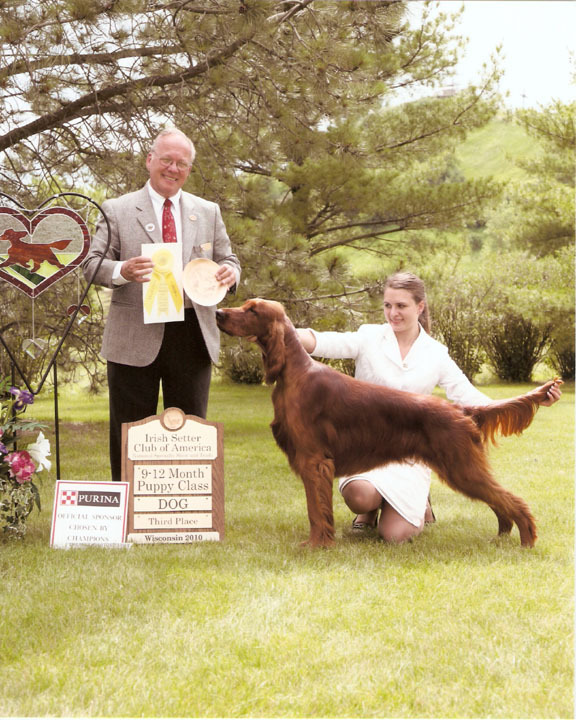 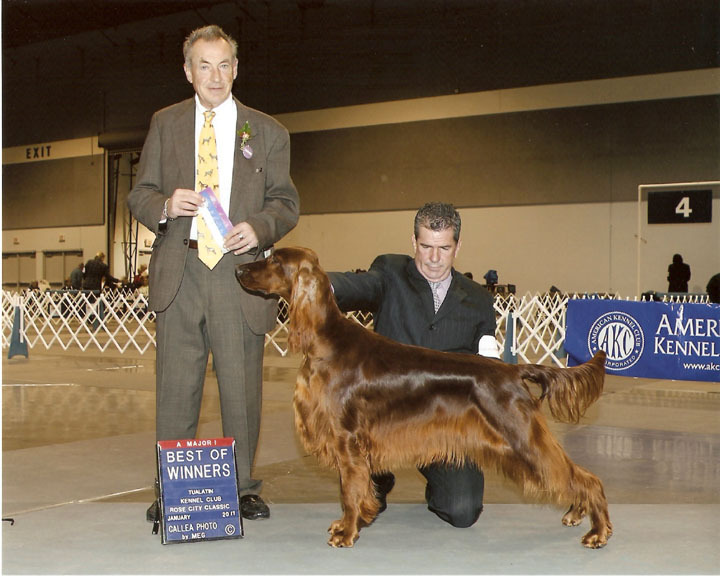 August 2007 Irish Setter Club of Seattle Specialty from 9-12. 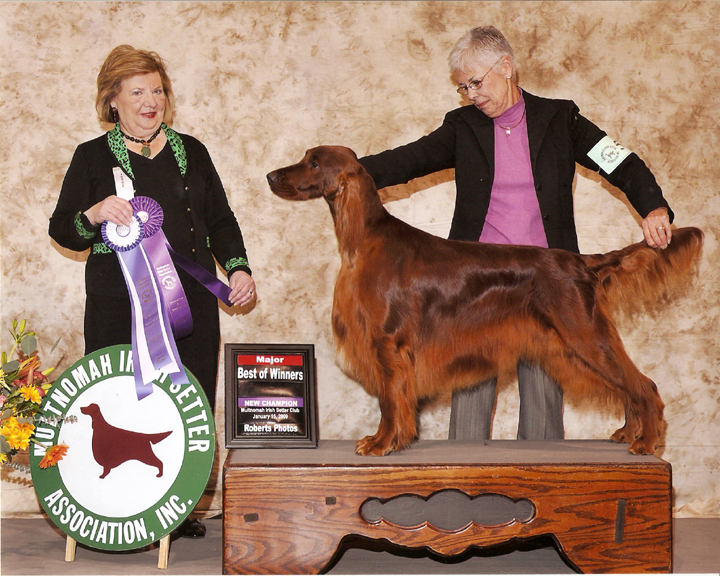 Littermates Estrella Time Traveler "Shadwell" going Best In Sweeps and his litter sister Estrella Etched In Time "Paige" going Best of Opposite in Sweeps.